The pre-hypertension I noticed when at the podiatrist for my ankle injury seems to have cleared up. 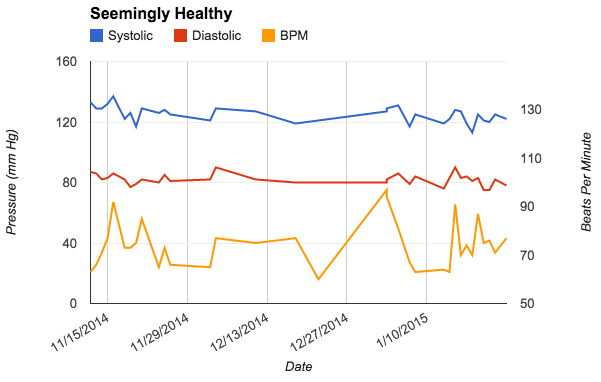 I use an Omron wrist monitor to track my heart stats. The only real changes I’ve made are to stop eating bacon and to get my life organized. I also have been eating a little healthier on the margin, too. This entry was posted in Progress Reports by tpowers123. Bookmark the permalink.